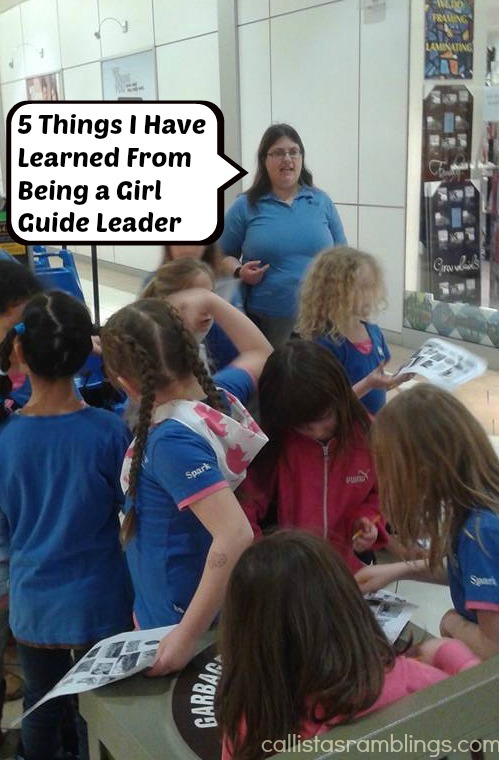 I love being a Girl Guide leader and I have been one since 2001 and helped out with units before that. I’ve worked with Sparks (ages 5-6), Brownies (ages 7-8) and Guides (ages 9-11) and currently work with all three. I’ve learned lots of things from my volunteer work with Girl Guides. These may not be what you think. If you think my reasons are things like smores are good and camping is fun, you’re missing the bigger picture. Keep reading. In an ideal family, the child can trust the parents with their problems, secrets and feelings. Sometimes that isn’t the case and even if it is, sometimes the child finds it too hard to talk to the parent about private issues. That’s where knowing other adults who have gained the child’s trust come in handy. I’ve listened to girls problems a few times or have even just given them a knowing look when we both know what’s going on but no words are exchanged. I do my duty if it comes to disclosing abuse but otherwise, if no one is getting hurt, I’m there for them, to just listen, or give advice if they want. Your child despises cleaning bathrooms, going grocery shopping with you, doing dishes and the like. Yet they do it willing at Girl Guides and camp. Why? We make it fun. Part of it is doing it in a group. Part of it is that they helped cook first so clean-up doesn’t seem as bad. Grocery shopping is made fun by making it a scavenger hunt. “This is our list, find the items.” “Which margarine would you choose and why?” This is followed by explaining your choice and why you choose it. And so on. We have all learned that we are all unique but yet we often expect each child to behave in the same way or have the same level of responsibility or knowledge as other children his or her age. Children (and adults) are not just different in skill level but in personality and ideals too. Some children really can’t sit still for 20 minutes. They aren’t misbehaving, their bodies are not made that way. Some children cannot focus on more than one instruction at a time. It’s not that they are not paying attention, their brain does not work that way. Different children require different expectations. At our overnights, we often get a child or even a few, who are homesick. They miss their family, miss their home, miss their pets. It can range from mild moping to full on hysterical crying. Our policy is not to send the child home unless they cannot be consoled at all and it’s been tried for awhile. We do this because the only way to overcome homesickness is to go away from home. Since I used to get homesick when I was younger (and still sometimes do,) I have learned some tricks to help those who are homesick such as drawing them a picture for when they go home, thinking of how proud they will be when they make it and even telling my story of homesickness. At Girl Guides, the girls complete program which earns them badges. We don’t want Girl Guides to be just like school so we don’t give them worksheets to complete or essays to write. We try to keep paper work to a minimum and even then it usually involves games or puzzles somehow. The girls learn best by DOING. So we do Science Experiments, play games, make crafts, engage in drama and go on field trips. I’ve learned more than that, way more than that. I love being a Girl Guide Leader and highly recommend you get the women and girls in your family involved in Guiding/Scouting in your country.